I know I haven't been posting all that regularly and many many apologies for that. I hope you don't mind. Once summer slows down things will get better I am hoping. I know I keep posting about it but I keep hoping it'll slow down! Today I have one quick mani for you. 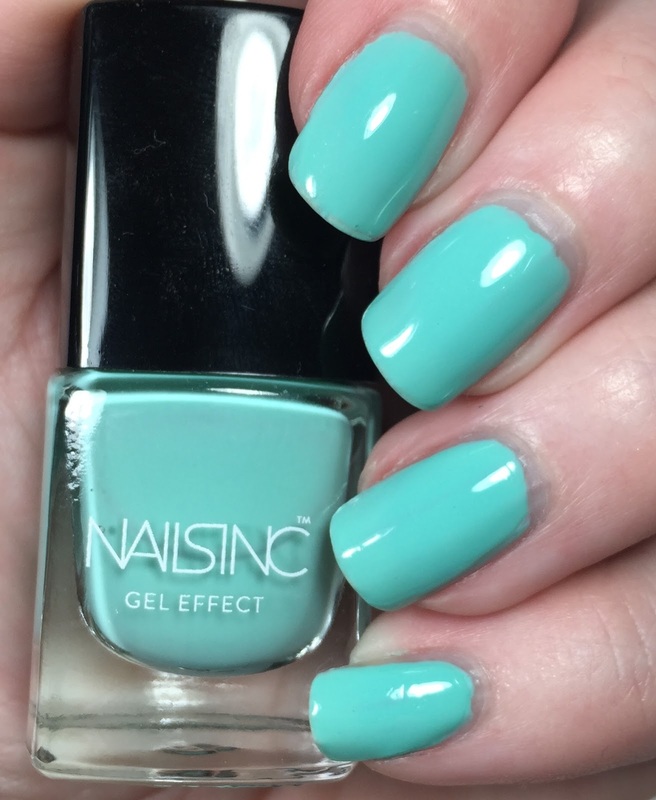 I recently placed an order with Birchbox and I had some extra points to spend so I bought the Spring/Summer collection from Nails Inc in their gel effect line. It has six beautiful colors in mini bottles. I was so excited to get it because I had been eyeing it for a while. Sadly, I am so disappointed in it. 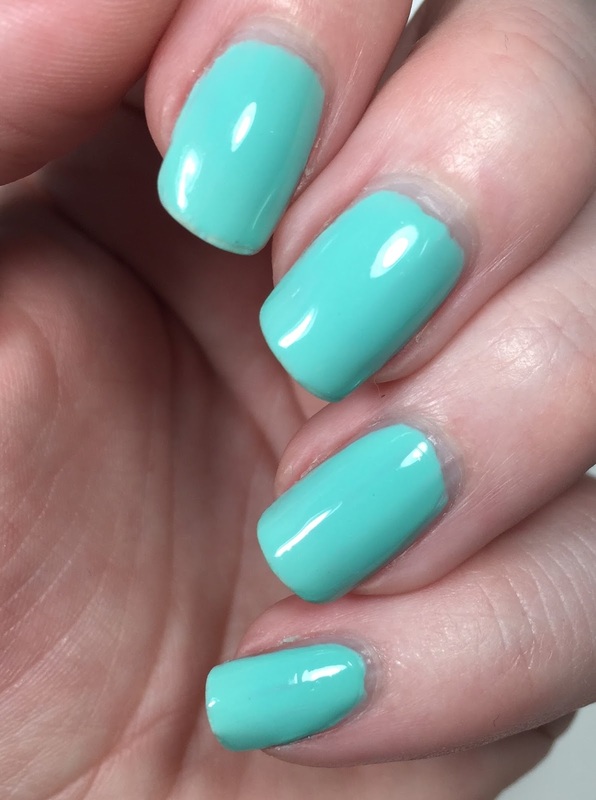 The color itself is gorgeous, but the formula was just crap. At least my bottle was. Plus it had the TINIEST brush on it ever. I get that it's a mini bottle but they must have found the smallest brush known to man. It felt like it literally had five bristles on it. It was also hard to apply. A bit thick and gloopy and didn't go on smoothly. Bummer. I intend on trying the rest of them out so I will update with those as I use them. Cornwall Road is a Tiffany blue type turquoise. I used two coats here, except for on my pinky where I needed three. I topped it off with Glossy Glam. I have had it on a couple days already and there are a few chips in it. But at least it's pretty. Maybe the bigger bottles are better, anyone have any that can report back? Keep in mind that this color and the rest of the set may not be available anymore. That color is so nice. I looooove that color! 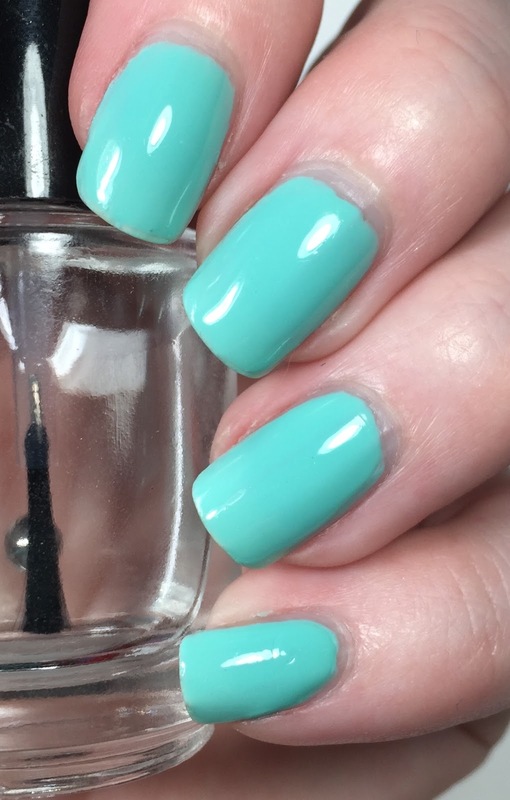 It's the most perfect aqua/Tiffany blue.